Stratfor Analysis — With each passing day, it is becoming increasingly clear that Venezuelan President Nicolas Maduro’s term could come to an abrupt end. Both the opposition-controlled legislature and Maduro’s own party are calling for him to resign to deflect public anger from the government. 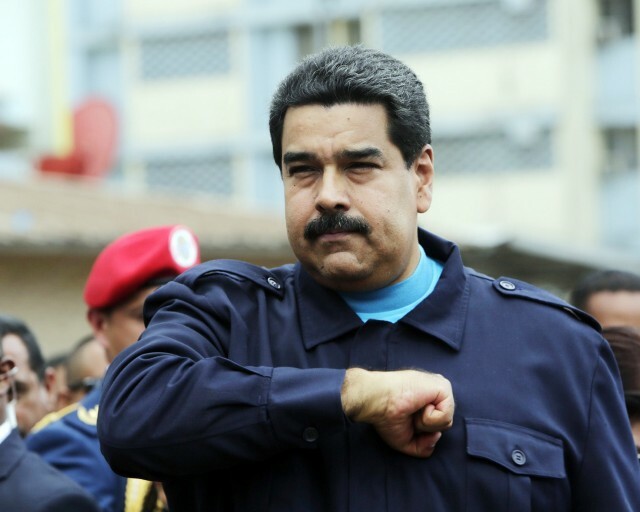 According to Stratfor sources, the opposition has already discussed with the ruling United Socialist Party of Venezuela (PSUV) the possibility of forming a joint post-Maduro junta to govern the country. Over the past few months, Maduro and his faction of the PSUV have apparently become isolated from the rest of the government. In Venezuela’s military-dominated politics, Maduro has represented only a minority civilian faction since being appointed in 2013 following President Hugo Chavez’s death. Consequently, Maduro has depended on the loyalty of the military, but those ties are now fraying. Progress on any junta discussions depends on whether powerful military leaders, such as Minister of Defense Vladimir Padrino Lopez, consider a junta or another transitional government to be in the country’s interests. At this point, it appears that at least a significant segment of the armed forces, including retired and middle-ranking officers, may support a transition; it is up to the military to deal with any social unrest created by the country’s collapsing economy. According to one Stratfor source, Padrino Lopez backs Maduro’s removal, albeit in a manner that preserves the president’s dignity. National Assembly Speaker Henry Ramos Allup has also claimed that a faction of current and former military leaders led by Zulia state Gov. Francisco Arias Cardenas is considering Maduro’s resignation as a possible means of dealing with the political and economic crisis. A change in government would enable a new administration to begin structural economic reforms that Maduro has long opposed. It would also assuage public anger against the government that could erupt into street protests. The question, though, is how such a leadership change would take place. The events of the next few will months will in large part determine which of four possible scenarios will play out. The risk of social upheaval because of the country’s soaring inflation will be a given, no matter how Maduro is replaced. This is increasingly unlikely, given that numerous members of the PSUV and the opposition coalition have begun substantive discussions on the president’s removal. Even if Maduro manages to overcome the attempts to remove him and PSUV factions against him are swayed to continue supporting him, the prospect of several more years of rampant inflation, food shortages and government inaction on economic reforms could spur major protests. There are currently two recall initiatives threatening Maduro’s continued rule. One is a proposed constitutional amendment that would shorten the president’s term to four years and set new elections in December 2016. The other is a proposed recall referendum. Both could potentially be presented to the Venezuelan public for vote. The National Assembly has begun discussing the amendment; no progress has been made on the referendum. The opposition coalition has yet to publicly announce final plans for recalling Maduro, likely because it is still the subject of internal discussion and, potentially, of negotiations between the opposition and the government. Because both a constitutional and recall referendum are very real threats to the government and would show the extent of public dissatisfaction with Maduro, the more likely they look to pass, the more likely opposition and PSUV leaders are to work with one another. However, conducting a recall referendum would likely be more problematic for the opposition than a constitutional amendment. A referendum could be challenged by the Supreme Court or the National Electoral Council, both of which are still under PSUV control. Forcing the president to resign could lead to the formation of a junta or other transitional government. It would almost certainly have to include opposition civilians, or else be given little legitimacy by foreign governments. It would also open a direct path to the presidency for the opposition. According to the Venezuelan constitution, new elections must be held within 30 days of the president’s resignation. The National Assembly speaker would rule the country until elections could be held. Default on the country’s foreign debt or a major unpopular domestic political move, such as a potential expropriation of Polar Enterprises, could trigger such a forced resignation. This scenario, too, would likely entail substantial negotiations between the government and opposition, if only because a possible transfer of political power to the opposition, especially in the presidency and the legislature, would raise uncertainty for the PSUV leaders, some of who face criminal charges abroad. The timing of the president’s resignation will be crucial as well. If the president is removed before January 2017, the opposition can make a strong legal case for the government to hold new elections. But if the president is removed after that date, whoever occupies the vice presidency will be president until 2019. Members of the political elite might wish to delay a transition into next year, but the risk of social upheaval as a result of the economic crisis could motivate them to seek a quicker transition. Finally, a segment of the armed forces could attempt a coup against the president, but this option is less likely. It would occur if Maduro resists calls for his resignation or if a military faction defies its commanders and conducts a coup regardless. Still, Padrino Lopez is thought to be against the option of removing Maduro by force and would rather discuss the president’s negotiated removal instead. Behind the mask of the Caliph – Who is Abu Bakr Al Baghdadi?